Across an almost silver sky, a hand emerges from a frothy cloud, holding a golden coin emblazoned with the pentacle. Beneath it is a flowering garden surrounded by a hedgerow with an open entrance leading out to a distant majestic mountainscape. The hand holding the coin is so white it is made of light. Is it the hand of an angel, the hand of a god perhaps? Rays of energy are pulsating out from the hand’s profile, signaling the power of this gift that the universe is offering. As much as the universe is offering you this gift of pragmatism and abundance, you must act to accept it. It is being offered to you, not dropped into your lap. 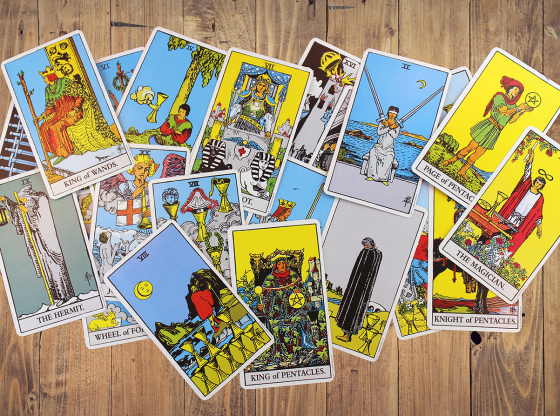 As your Tarot spread is laid out, the cards are divided into a past, present and future location. The Ace is the dominant type of card and pulsates its energy over the whole reading. While most cards tell your story of when their impact was felt, is being felt or will be felt in the future, any Ace describes the whole story and is present in each chapter. The Ace of Pentacles in the past position shows a childhood that revolved around material possessions, but it does not stop there, as the energy from this card carries that materialism into the present and future. When more than one Ace is drawn in a reading, this is as important a reading as you could expect to get. When paired with the Ace of Swords, the worlds of materialism and verbal talents come together. A lawyer about to make a big presentation in a courtroom receiving this combination would be assured of winning his or her case. When paired with the Ace of Cups, love relationships add to the material well being of the person getting the Tarot reading. Many women meet and marry a rich man after this combination appears as its energy pulls in what is absent as well as what is pulsating outward from the deck of cards itself. Paired with the Ace of Wands, the Ace of Pentacles foretells a great creative breakthrough. 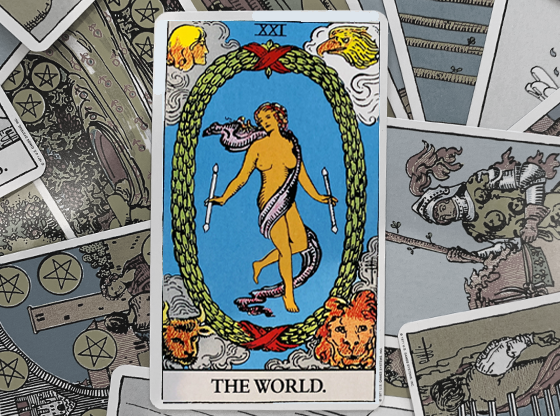 Painters and film directors would be on the precipice of a masterpiece were they to embark on a new project after this pairing appeared in their Tarot reading. Even if you are pursuing more modest creative projects, this combination would bring about an inspiring interior decoration idea that will not only make your home a nicer place to live in, but will add value to your property if you are a homeowner. 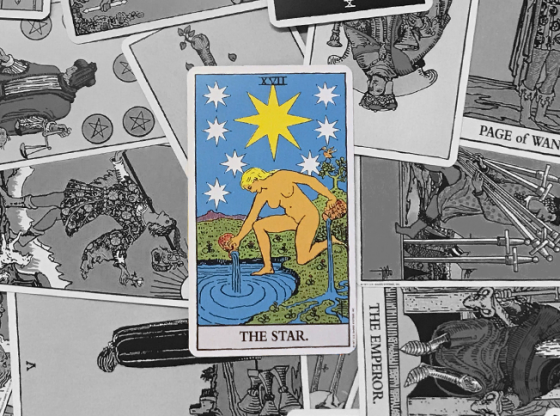 When an Ace of Pentacles appears in a reading with other Pentacle cards, money is at the root of all problems and is likely central to any of the solutions that should come about. 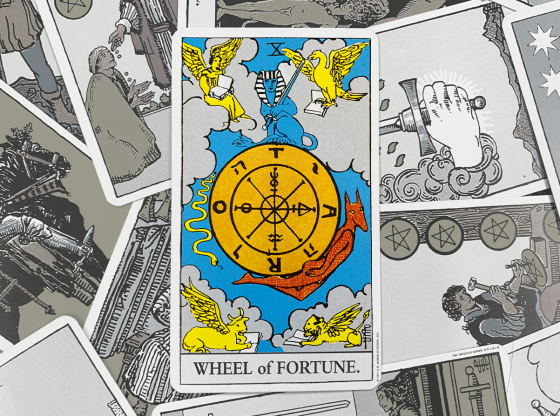 People obsessed with money to the point of letting it control them are especially prone to Tarot readings that feature many coins, with the Ace of Pentacles hovering over the card spread. When The Ace of Pentacles is in a reading that includes a lot of Swords, someone may be trying to talk you out of your money. Has a new friend asked for a loan? Has a salesman made an offer that seems too good to be true and offered up fine print that is too complicated to decipher? But just as easily, someone may be willing to lend you money or purchase an asset of yours for top dollar. Be on the lookout. 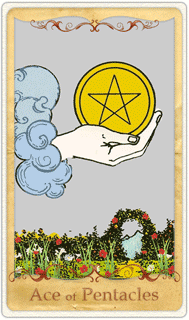 The Ace of Pentacles appearing in a reading with many cards from the suit of Wands will bring profit from your passion. If you are a specialist in a particular field, this card combination will bring you success there. Perhaps it is time to start a blog and get to be known as the expert in your area of expertise. 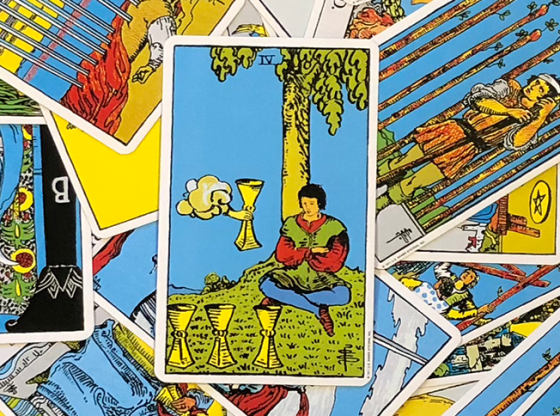 When there are many cards from the suit of Cups in your reading along with the Ace of Pentacles, your desires will suddenly be made possible through commercial means. This reading often occurs to a person just before getting a job that opens new doors to worlds that are often off limits to ordinary people. 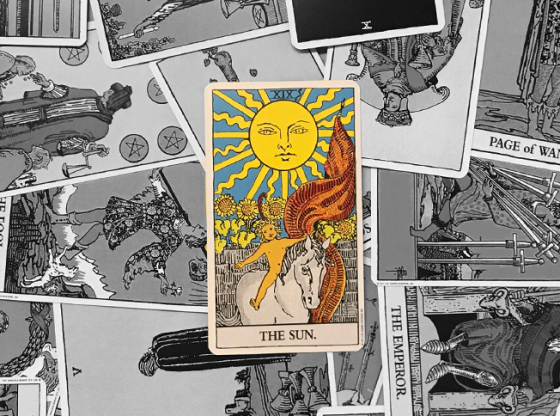 While most suited cards are lower echoes of two Major Arcana cards bearing matching numbers, the Aces of the Tarot deck match up easily with three cards. 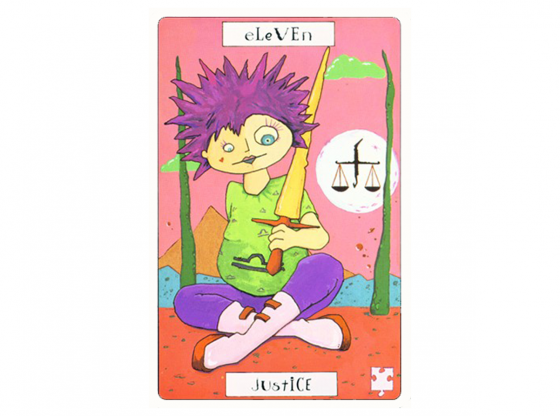 Those Tarot cards bear the 1: The Magician (Tarot Card #1), Justice (Tarot Card #11) and The World (Tarot Card #21). When you accept the gift that the Ace of Pentacles is offering, you are creating your own reality (like The Magician), you are seeking a true determination of worth (as the Justice card delivers) and you are meshing with the reality of those around you (the hallmark of The World card). The Ace of Pentacles can indicate a rich soul mate is near when it pairs up with The Lovers card. Money from mom and dad might be forthcoming if it combines with The Emperor card. When combined with The Hermit, the Ace of Pentacles represents financial security as you pursue a course of diligent study or creative training. Often money being offered to us is a way to get us to sell out to someone else’s interest. If the price is right and the self-compromise not too great, then that is okay. 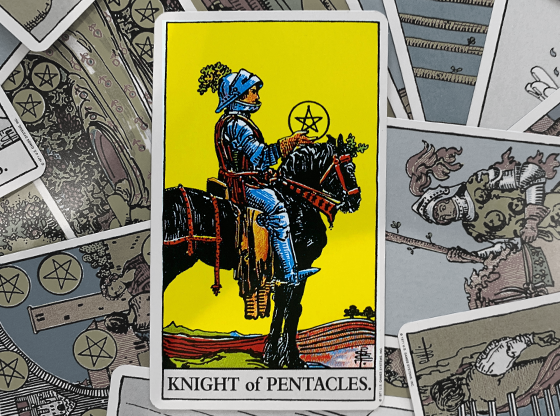 When The Ace of Pentacles combines with the Strength card, you will be able to forego the temptations of riches if they are not in the interest of your personal dignity. 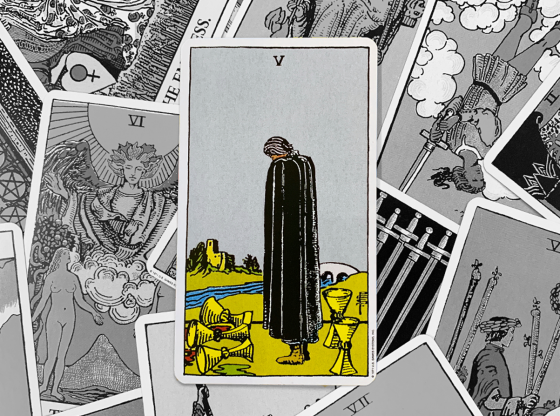 Some Tarot traditions actually pull out any Ace from a reading and replace it with another card. But the Ace is never discarded. It is placed to the side and “hovers” over the reading. 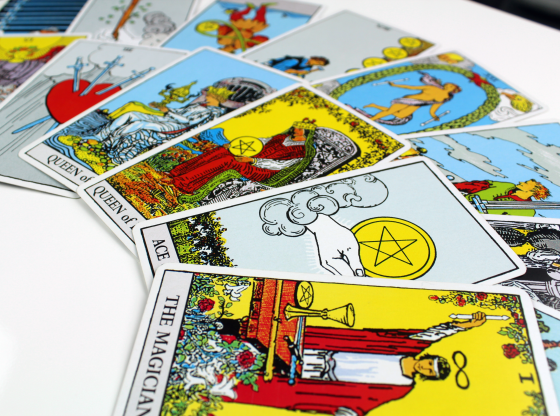 Some Tarot readers will have an assistant hold the Ace over the reading after it has been drawn, emulating the hand holding the Pentacle or other suit symbol of the drawn Ace.